LUCAS Mk1 and Mk2 FUEL / PETROL INJECTION home page. Use this search box to search the contents of this web site. If you don't find what you are looking for, let us know, we appreciate all suggestions. This web site is dedicated to the lucky few who own or work on Lucas mechanical fuel injection. 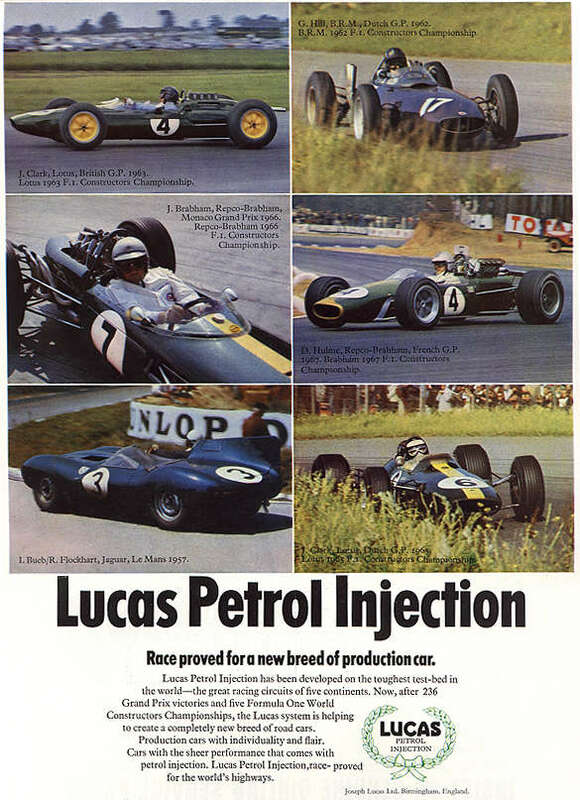 Triumph, Ferrari, Lotus, Maserati, Can-Am, F1, F5000, B.R.M., Repco-Brabham, Cosworth, Chevy...etc. If you have insight, pictures, parts, data, manuals, or ideas to share, feel free to email!